They say that rain on your wedding day is good luck. If that's so, Gentry and Timothy are the absolute luckiest. 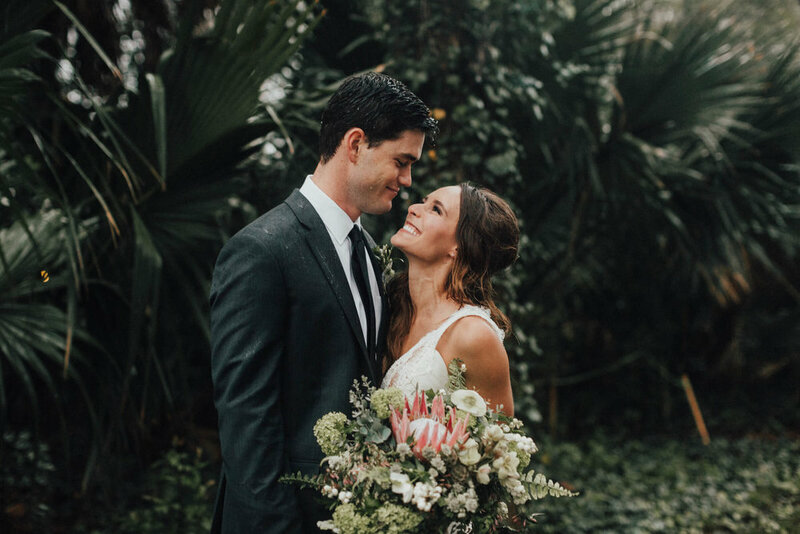 The rain came down in a deluge on the all-outdoor Laguna Gloria and when there was no sight of it letting up, Gentry and Timothy decided to stick with their plan A and have a wet, and oh-so-romantic ceremony surrounded by their closest people. 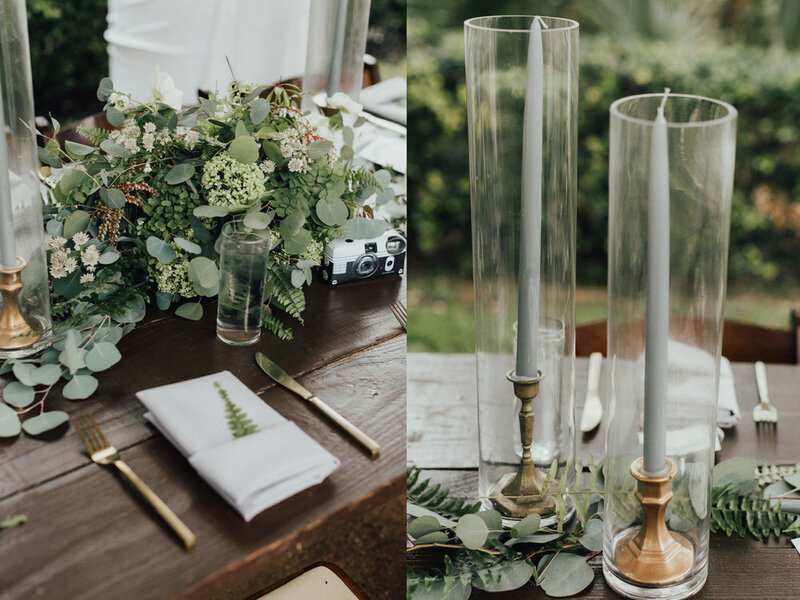 Natural, monochromatic designs flowed through the space with show-stopping king protea making these bouquets totally stand out. 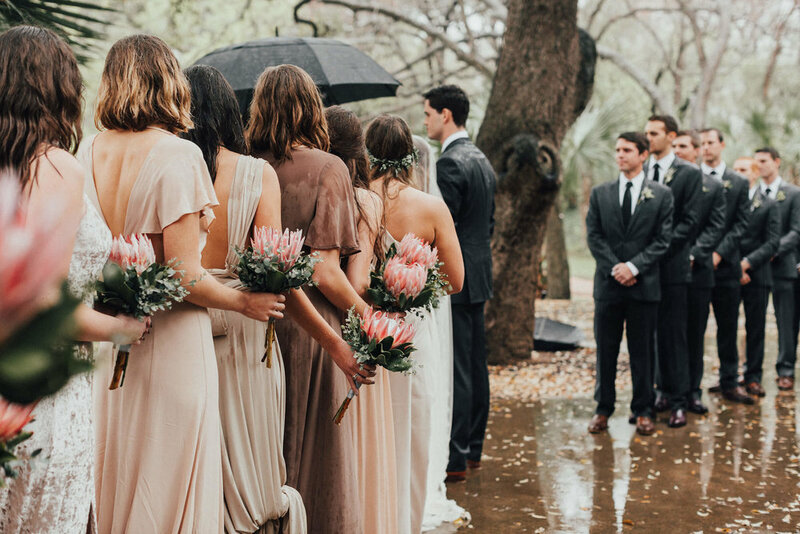 Ditch your shoes and dance in the rain with this absolutely adorable couple.